Training is developing a playing style. In short, it is the coach’s job to create such a style. No matter whom you coach, youth players or adults, the main objective for you as a coach is to develop the players ability offensively, defensively and the transition between the two. This isn’t as easy as it sounds. The starting point (ability) of the player is of greater essence. The coach must think about the quality of the players, where are they in their development (youth or adult), the culture and the vision of the club, etc. Besides that, the coach must think about the offered training exercises to realize the objected effect. manipulates these training impulses and resistances to realize the playing style. E. Instruction; what instructions did the players receive? 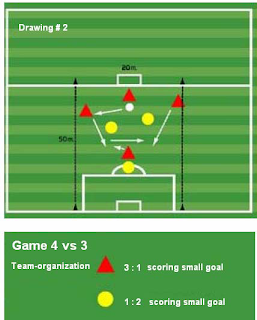 (Example: play deep immediately, use the switch pass, etc., but also game situations like to score in one minute, there are still X-minutes to play and you are behind 1-0). adults. When we execute a training exercise without opposition (a team) or an opponent (a player), an essential part of the game is missing. 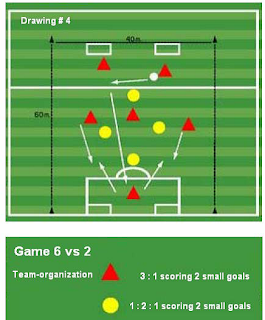 This doesn’t mean that you can never create a training situation without any opposition. The coach then must realize what is being trained and that the situation isn’t complete. This brings us to the core of training; to improve a player’s ability: the transfer of what is being learned. found back in the practice. 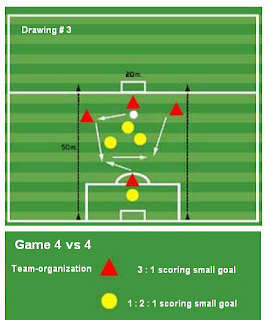 One of the striking points in attack and build up is: playing forward has preference over playing sideways. One can create several trainings exercises in which the build up in general, and the principal of deep before width, are central. 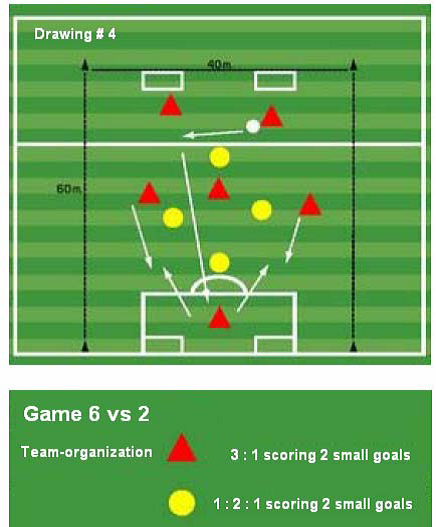 Many passing exercises can be created to practice the above. There are coaches that have their team play hand-ball (with or without opposition) to improve the build up. If we think about the transfer from practice to game, then a few question marks can be placed by the choice of that training exercise. 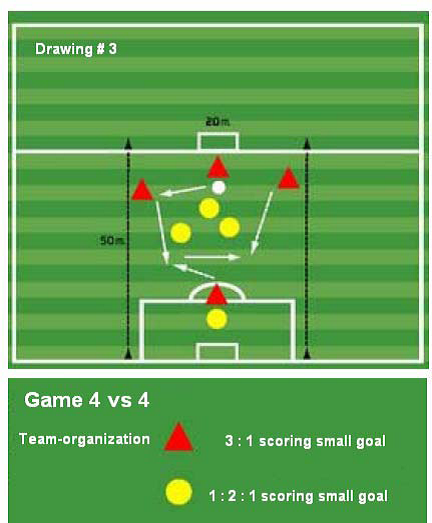 We offer a few training exercises in which the opponent play a certain role. One can discuss the choice and the order of the exercises. 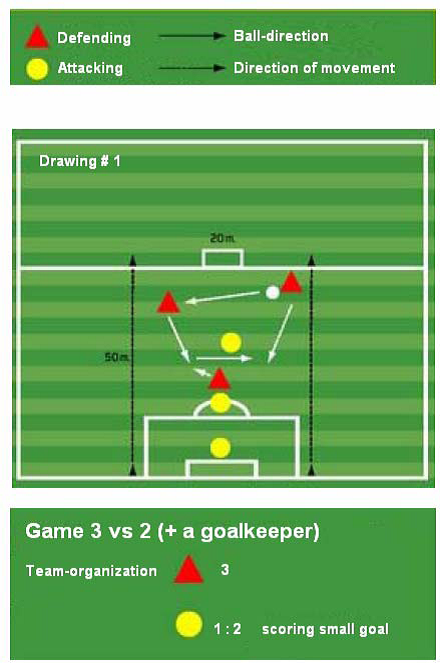 There should be no discussion about the fact that these exercises are closer to the “real” game than the above mentioned example.